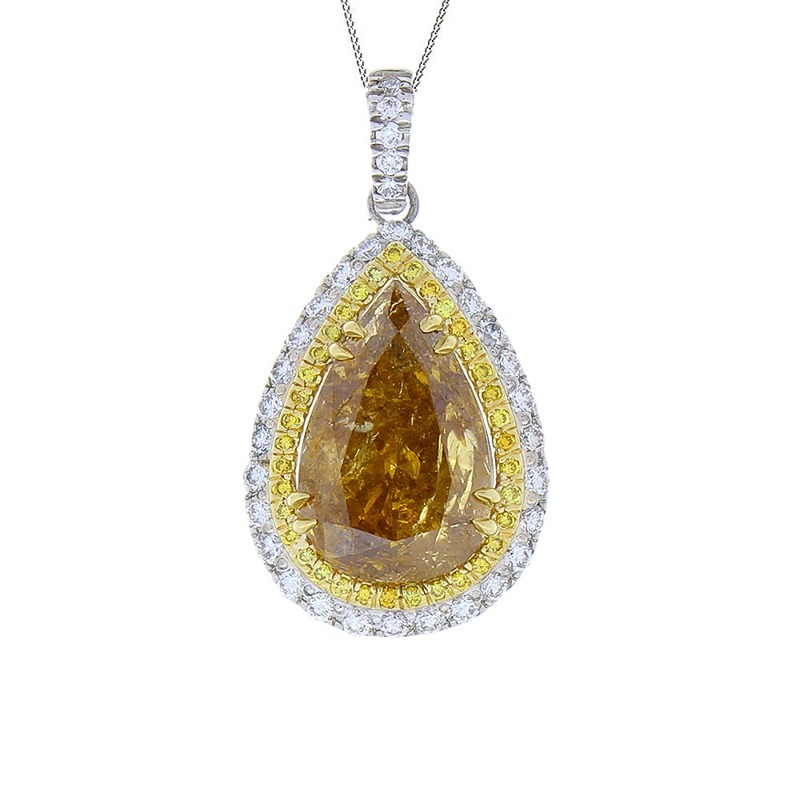 This teardrop necklace features a 5.09 carat natural fancy deep yellowish brown pear shaped diamond set in yellow gold double claw prong. This sizable diamond measures 14.45x9.06mm. 0.76 carats of rich natural fancy vivid yellow diamonds frame this center diamond, finished by round brilliant cut white diamonds totaling 0.15 carats creating layers of brilliance and diamonds. Crafted in brightly polished 18 K yellow and white gold, this diamond necklace is ideal for anyone wanting to stand apart from the rest.